The Jeep Cherokee is beloved by Portland drivers who love a little adventure in their SUV, thanks to its durable design, comfortable interior , and ultra-capable performance that outpaces the competition. But it’s not just a thrilling off-roader; in fact, the Jeep Cherokee boasts a range of safety features to help you drive safer and smarter on your journeys. Take a look at everything it offers! This available tech uses radar sensors to scan your blind spot, warning you if it detects a vehicle entering that zone. This feature detects whether or not you’re drifting from your lane, alerting you and even helping you course correct if you don’t respond. This standard tech gives you a live feed of the area behind your vehicle overlaid with dynamic gridlines, making it easier and safer to back into a parking spot. If this available system senses that you’re approaching a vehicle too rapidly, it will warn you with an audible chime and increase brake pressure if you’re not braking enough. Find Your Jeep Cherokee Today! 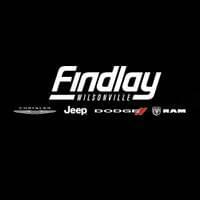 Experience the Jeep Cherokee safety features in person by scheduling a test drive at Wilsonville Jeep Ram near Wilsonville! While you’re here, be sure to check out our blog about finding out which Jeep model best suits your style! Also check our comparison between the Jeep Cherokee and Jeep Grand Cherokee.